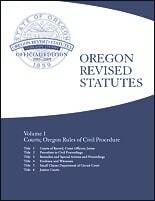 ​In Oregon, there is no DUI statute providing specifically for an enhanced penalty if a DUI driver causes a death. However, a driver accused of DUI where a death occurs would be exposed not only to charges of DUI (with no diversion option) but also may be charged with Vehicular Homicide, Manslaughter, or Criminally Negligent Homicide. A driver may be charged with Aggravated Vehicular Homicide where criminal homicide is committed with criminal negligence, recklessly, or recklessly under circumstances manifesting extreme indifference to the value of human life by a person operating a motor vehicle while under the influence of intoxicants, where the person has a previous conviction for Manslaughter 1, Manslaughter 2, or Criminally Negligent Homicide (or their statutory counterparts in any jurisdiction), and where the victim’s death in the previous conviction was caused by the person driving a motor vehicle. Aggravated vehicular homicide is a Class A felony. It is also a "Measure 11 crime," meaning it carries a mandatory minimum sentence. The sentence for Aggravated Vehicular Homicide is 20 years. A criminal homicide arising from a DUI constitutes Manslaughter in the First Degree where the crime is committed recklessly or with criminal negligence by a person operating a motor vehicle while under the influence of intoxicants in violation of the Oregon DUI statute, and the person has at least three previous convictions for driving while under the influence of intoxicants under the Oregon DUI law (or its statutory counterpart in any jurisdiction) in the 10 years prior to the date of the current offense (ORS 163.118). Manslaughter 1 also is a “Measure 11” offense. The sentence on conviction is ten years. Manslaughter in the Second Degree may be charged where death resulted from the operation of a motor vehicle and the driver of the motor vehicle was under the influence of an intoxicant. Manslaughter 2 is also a Measure 11 crime. The sentence on conviction is 70 months. A person commits the offense of criminally negligent homicide where, with criminal negligence, the person causes the death of another person. Criminally negligent homicide is a Class B felony. The penalty is presumptive probation for a term of five years, but sentencing guidelines provide for a term of 36 to 72 months, depending on a defendant's criminal history. Booking is a process in which a person goes to a jail, gets photographed and fingerprinted, and is assigned a "state identification number." Usually, the police move on after an arrest. Booking often doesn't happen until after a person's first court appearance. When a person comes to court for a first appearance (the arraignment), the judge will direct the person to go the the clerk's window and sign a "release agreement," and to go then to the Jackson County Jail to be "processed." Police almost never arrest or hold the people who come to the jail for booking. As soon as they have their pictures and fingerprints done, they go on their way. To be "booked," or "processed," a person who has been cited for a crime and released without being taken to the jail will have to report to the court and sign a release agreement after being arraigned on a criminal charge. The release agreement is a promise to appear in court at the next hearing date, and an instruction to report to the jail. At the jail, a deputy takes pictures and fingerprints. A "state identification number" is assigned. The "process" generally takes a couple of hours. Anybody who grew up watching television will think they know what is supposed to happen when a person gets arrested for DUI. The police make a traffic stop. Then there is a flash of blinding light, and when the picture resolves, we see a mugshot of some hapless individual, holding up a sign with jail numbers. Arrest and booking procedures have changed in Oregon. Unless the police decide (or are required otherwise) to put someone in jail, a person who is arrested and taken into custody often won't get booked after an arrest. In many cases, the police leave the arrested person in the custody of a hospital or a private "detoxification facility." Police have the discretion to release a driver cited for DUI to a responsible sober person. Some are given a ride home. Most drivers who are arrested but not taken to jail are released without being "booked." To get booked in Jackson County, you have to go to the Jackson County Jail. If you are out of custody, you will have to go see the court clerk at the Jackson County Justice Building and sign a release agreement before you go to the jail. A law went into effect in 2016 puts the responsibility for booking DUI defendants on Oregon's courts and sheriffs' offices rather than the police who make the arrest. Somehow, it seems the police have gotten judges to do part of their job for them. The sponsor of this legislation, a Multnomah County judge, told me before this measure was enacted that he was interested in tracking the success rates and the recidivism rates of persons enrolled in various DUI treatment programs. He wanted these State Identification Numbers assigned for this purpose. In the meantime, however, the courts seem to have elevated the importance of the booking statutes to a strict, new level of data collection and compliance. It is unknown to me if any data is being compiled locally that has something to do with the stated intent of this law, which was to collect data on the success of various local treatment programs. The courts have viewed their role in the booking process seriously. When a defendant comes to court the first time, the judge will tell the person to report to clerk's window and then the jail. There are clerks assigned to keep track of defendants who haven't been booked. 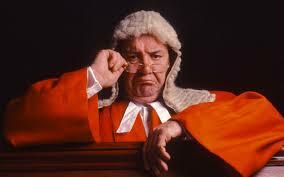 If a defendant returns to court for a second appearance and hasn't been booked, the judges don't like it. A person who needs to be booked will present a release agreement to the deputy at the jail window. Another deputy will take photographs and fingerprints. A "State Identification Number" will be assigned. This number and the information associated with it will be stored on federal and state law enforcement databases. 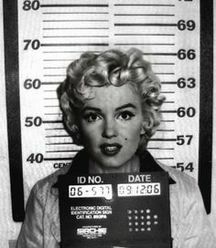 Many persons who are arrested for DUI resist the court's directions to get photographed, because they don't want their pictures on a mugshot website. On these websites, the photographs that are taken at the jail, and the charges filed against a criminal defendant, are public record. Deputies and court clerks have been trained to make it a priority to enter this information into government databases. Additionally, the Jackson County Jail posts photographs of its inmates on the county website. These images go up immediately when an inmate is taken into custody. These photos are taken down almost immediately when a person is released from jail. However, it is generally impossible to remove or delete images and files from data-gathering sites. Information and photographs posted on a particular public mugshot website may be removed with the agreement of the mugshot website operator. The process of having a mugshot removed from a website (and the price of this "service") change frequently. There is virtually always a "fee" for having a mugshot removed from these sites. Recently, mugshot sites have posted links to one or another "mugshot removal" site. Proceed with caution. These cost money. As you already know, once your mugshot is taken by a law enforcement agency, or has been posted online, it will be available on some server cache, somewhere, forever. As you have gathered, there's usually not a lot I can do about the booking process or the mugshot situation. On the other hand, if you have been arrested or charged with a criminal offense, there is absolutely no rational reason to not discuss your case with a qualified, experienced legal specialist who can help you resolve your legal problems. If you are being investigated or prosecuted in a criminal or DUI matter, you're welcome to call my office, at 541 773-4000. Lines are live from 5 a.m. to 6 p.m.
What If You Didn't Do Anything Wrong? ​After the barrage of propaganda and publicity the government has sponsored, warning the public of the dangers of DUI, many people believe (incorrectly) that it's against the law to have a drink and then drive in Oregon. At the same time, police have been trained to enforce DUI laws relentlessly. Once law enforcement officers form the slightest suspicion that a person they have pulled over was drinking (in any amount at all), they conduct an investigation. Most of my clients had never been in trouble before they got stopped and investigated for DUI. Most of them arrive at the courthouse having never seen the inside of a courtroom. They cannot comprehend the fact that they are being charged with a crime. They are ready to say anything they think will help their situation. Ultimately, they say and do things that make it worse. Because they're nice people who have never been in trouble before, they trust the police and they answer questions truthfully. For example, they may have no trouble telling a police officer that they had a glass of wine, or even two or three beers in the course of an evening out. ​And, because they're nice, they often think they could only have been arrested for one reason: because they did something bad. Often, they want to rush to the courthouse and tell a judge they're guilty and that they desperately want to take responsibility for this incident and put it behind them. Consider this possibility: The police got it wrong. Maybe you were stopped for a minor, technical violation of the Oregon Rules of the Road for Drivers. Maybe you didn't do anything wrong. After the barrage of propaganda and publicity the government has sponsored, warning the public of the dangers of DUI, many people believe (incorrectly) that it's against the law to have a drink and then drive in Oregon. DUI investigations are done everywhere in the United States according to the same standards and training. They're designed to give the police additional evidence that will be used against any person they arrest when the case goes to court. Police also are trained to administer tests and procedures that result in the suspension drivers' licenses by the DMV. Police officers are trained to make observations that support decisions to arrest people. Private citizens should be aware that law enforcement officers already are making observations and decisions, long before the emergency lights go on. Police are taught to write reports in ways that portray drivers in the most damaging ways. When the police write their reports, they're likely to criticize pretty much anything a driver says or does. It doesn't matter that you have a perfect driving record. It doesn't matter that it was your birthday. It doesn't matter that you got a promotion and wanted to enjoy an adult beverage with friends. Everything you do, both before and after you're stopped, along with everything you say, will be written down and kept in a police file. This information will be offered in court to prove you're guilty of a crime. It's very unlikely, once the police begin a DUI investigation, that you will be allowed to go on your way. These are subjects that I enjoy talking about at trials, when police officers are on the witness stand and I cross examine them. The typical reaction of anyone who has never been stopped by the police is to talk. Talking to the police after a stop is a mistake. ​DMV license suspension hearings are useful in preparing a defense in a DUI case. Your attorney can issue subpoenas that require police to bring their videos to the DMV hearing. DMV hearings provide the opportunity to cross examine the arresting officer and other witnesses, get police reports and watch videos of an arrest. To contest a proposed license suspension, the request for a hearing must be submitted within 10 days of your arrest for DUI. Ask for a DMV license suspension hearing immediately after an arrest or citation for DUI. You're welcome to call the Francis Law Office to help you file a DMV hearing request. It's possible to contest your DMV license suspension and prevail. ​Request a DMV hearing immediately after an arrest or citation for DUI. ​If you want to request a DMV hearing, you can call the Francis Law Firm for help. 541 773-4000. Remember: If the police took your driver's license, you have only 10 days to request a hearing on a DMV license suspension. ​In most DUI cases, the potential penalty that causes the most anxiety is the loss of driving privileges. The economic effects of a license suspension are immediate and harsh. The problem is made worse by the fact that, typically, there are two, separate cases pending when a DUI is charged. There is a DMV license suspension under the Oregon implied consent laws. This is an administrative matter. There is also the suspension of driving privileges that is added to a person's sentence when they are convicted of DUI. Either one of these proceedings -- or both of them -- could end in a driver's license suspension. If you gave a breath sample of .08 percent breath alcohol content, or above, or if you refused a breath, blood or urine test, the police probably gave you a paper called an "Implied Conset Combined Report." This document advises you that DMV intends to your license for at least 90 days. Refusal to submit to a breath, blood or urine test may result in a license suspension of one year. If there are any alcohol-related entries on a person's driving record in the previous five years, the one-year suspension increases to three years. Suspension on conviction for a first offense results in a one-year suspension in Oregon. Court-ordered suspensions are separate from, and in addition to, any DMV-ordered suspension. The suspension period on a second DUI conviction is three years. A third DUI conviction will result in revocation of all driving privileges for life. 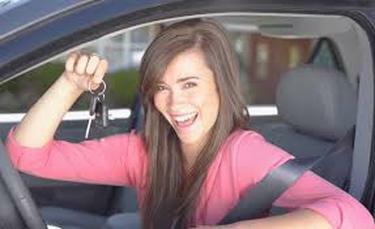 A person may apply for reinstatement of driving privileges that have been revoked for life after 10 years. There are a variety of methods to determine the amount of alcohol present in your system. These include breath, urine, and blood tests. 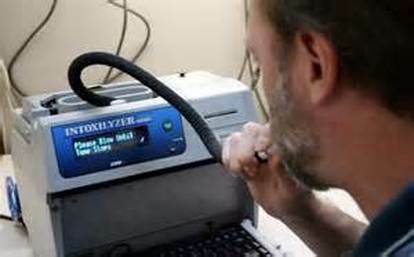 A breath test is a common method used by police to measure your blood alcohol content (BAC). The police usually do this by getting a sample of your breath. As you blow into a hose, a machine measures your breath and then calculates an estimate of your actual, blood-alcohol level. In Oregon, as in most of the United States, the BAC "limit" is .08 percent. There are a variety of devices that can be used to measure the alcohol in your breath. 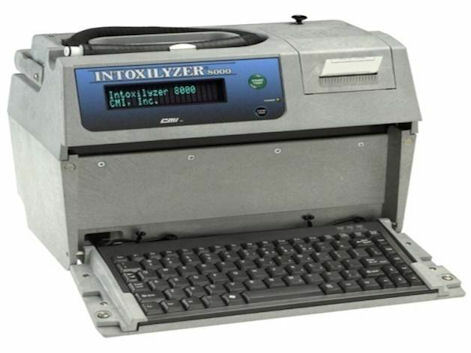 Throughout Oregon, police use only the Intoxylizer 8000. This device analyzes your breath to give an estimate of BAC. It does this by measuring the amount of infrared light alcohol absorbs when a person is exhaling into a hose that is connected to this device. The principle is, simply, the more light absorbed, the higher the BAC. If a police officer suspects you of driving under the influence, you can be asked to submit to a breath test to determine the level of alcohol in your system. 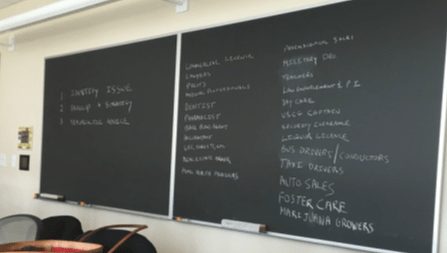 This is when it is important to be aware of Oregon's implied consent law. This law states that by driving a vehicle in Oregon you have given your implied consent to submit to a breath, blood, or urine test if requested to do so by a police officer. While you do have a right to refuse to submit any or all of these tests , there can potentially be significant consequences if you choose to do so. By refusing to submit to a breath test evidence of your refusal to take the test can be used against you by the prosecution in your case. In addition, if you fail a breath test that failure can be also be used as evidence against you in a court of law. The arresting officer must inform you of the rights and consequences of deciding to take or refuse the test. You also have the right to call an attorney prior to making a decision on whether or not to take the breath test. Moreover, there are administrative penalties issued by the Oregon DMV for refusal to take a breath test or failure of a breath test, that are separate and apart from any criminal penalties you may receive. It is important to note that the consequences are more severe for refusal to take the test than if you fail the breath test. Initially, upon failure or refusal of a test, the arresting officer will confiscate your license and issue you a temporary permit which is good for 30 days. (Provided you have a valid Oregon driver's license.) At the time of arrest the officer will provide you with written notice on the DMV's intent to suspend your license. You have ten days from the date of arrest to request a hearing on the suspension. Otherwise, at the end of the 30 days your license will be suspended. Suspension length depends on whether or not your failed the breath test or refused to take the breath test. For failure of the breath test, your license will be suspended for 90 days for a first offense. Thereafter, your license will be suspended for one year. If you refused the breath test, your license will be suspended for one year for a first offense and for three years for any subsequent offense. In addition, if you refuse to take the breath test, you cannot request a hardship permit (a license which gives you limited driving privileges) for at least 90 days and, possibly for 3 years if it is not your first offense. Finally, if you refuse to take a breath test you may be subject to fine. The fine ranges from $500 to $1000. Even if you decide to take the breath test and fail it, it is important to be aware that the resulting percentage may not be an accurate representation of your level of intoxication. There are a number of things that can affect the outcome of your breath test. The police officer did not follow proper procedures to collect the breath sample. 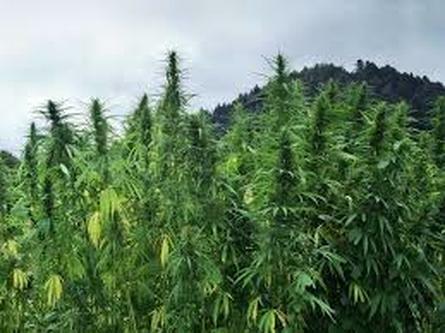 For example, in Oregon the officer must first make sure "the subject has not taken anything by mouth (drinking, smoking, eating, taking medication, etc. ), vomited, or regurgitated liquid from the stomach into mouth, for at least fifteen minutes before taking the test." The breath test device does not distinguish what type of alcohol is one your breath so other things can give the device a false positive. This is known as residual mouth alcohol. Things likemouthwash, cough syrup, breath sprays, and cold medicine can give a false positive reading. Certain medical conditions can affect your breath test results. For example, if you have diabetes this can potentially affect the outcome of the breath test as the testing device can mistake acetone for alcohol. Or if you have gastroesophageal reflux disease (GERD) the sample can be contaminated by gas from the stomach. Your test results can also be affected by low-carb diets. The bottom line is, just because your breath test results stated you were over the legal limit this does not mean you were driving while intoxicated. A DUI charge is a Class A misdemeanor, which means conviction carries a possible sentence of up to a year in jail and a fine of $6,250. In practically all DUI cases, the sentence is much less extreme, with a standard two-day jail sentence and a fine of $1,000 for a first conviction. If there is a conviction on a first DUI and a blood alcohol content was .15 percent or more, the fine increases. Like any other Class A misdemeanor, Oregon statutes provide that a first or second DUI conviction has a maximum penalty of up to one year in jail and a fine of $6,250. Felony DUI: If a person is arrested for DUI with two prior DUI convictions, there is a high level of probability that the person will be indicted by a Grant Jury and charged with Felony DUI. On conviction for Felony DUI, a Judge is required to sentence a Defendant under a law known as Measure 73. If a third DUI is charged as a Class C felony, Oregon law provides that conviction on this offense carries a maximum penalty of up to five years in prison and a fine of $125,000. A minimum sentence of 90 days is generally imposed on conviction for a first felony conviction for DUI. You should be aware that if the police took possession of your Oregon driver's license, it's likely there are two cases pending against you, not one. One case is an administrative matter: The DMV may suspend your license if you failed or refused a breath, blood or urine test. The other case is a criminal matter. 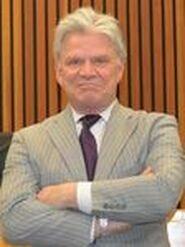 The police issued a citation that will be referred to the District Attorney for prosecution. Driving Under the Influence of Intoxicants is a crime. Although it is typical, If you were arrested or cited for DUI, that you were given a date for your first court appearance and released, the criminal charge of DUI will be brought against you in Circuit Court. There is a date on the citation you were issued at the time of your arrest. This is your "arraignment date." Unless you take certain steps before your first Court appearance, you will have to appear in person on that date. At your arraignment, the Court will set a date for your pretrial conference. Before your pretrial conference, your attorney can obtain discovery from the District Attorney. The State is required to disclose all police reports, audio, video, photographs and all other evidence. Your attorney will review the discovery with you. Based on the evidence, your attorney's advice, and your knowledge of the facts, you will be able to make a decision: Will you accept a plea deal or take your case to trial? You have an absolute right to a trial by a jury. A typical DUI trial will go on for an entire day, or two, or perhaps longer. The trial will end with a verdict of either guilty or not guilty of DUII. It is not uncommon for a jury to return a verdict of NOT GUILTY in a DUI case. In many cases the state is unable to carry its burden of proof. Sometimes, a DUI charge that looks unbeatable in the morning will fall apart in the afternoon. Trials take on a life of their own as the jury hears the facts and listens to the testimony. There are many cases where the jury considered the evidence and returned to tell the judge that the defendant was NOT GUILTY. If you fail or refuse a breath, blood, or urine test, the police will take your license from you, on the spot. They will give you a long, yellow sheet of paper titled, "Implied Consent Combined Report." This document advises that DMV is suspending your license. This long sheet of paper becomes your temporary driving permit when you sign it. Your temporary permit will remain in effect for 30 days. To challenge the license suspension, you have to request a hearing within 10 days of the date of your citation or arrest. You can call the Francis Law Office for help with your hearing request form. If you challenge your suspension, you will get a hearing within 30 days of your arrest. At the hearing, if you may be able to show that the proposed suspension should not go into effect. ​If you were arrested for DUI, you know how it feels to be handcuffed, searched and transported to a detention facility. It's understandable you are concerned that a judge will sentence you to jail time. If you enter a diversion program, no jail is ordered, provided you meet the requirements of the diversion program. If you are convicted of DUI, a judge is required by law to sentence you to a minimum of 48 hours in jail, but a typical jail sentence on a first conviction is 10 to 30 days. The sentence on conviction of a second DUI generally is 45 to 90 days. A third DUI may be charged as a felony and there is a mandatory 90-day sentence on conviction. Oregon statutes provide that the maximum jail sentence for a DUI is one year. However, practically no one goes to jail to serve their sentence. This is because the court and the community justice office, in cooperation with the sheriff's office, have a program in place that allows persons who have been sentenced to jail to serve their time at home. When a defendant is sentenced, the court generally sets a date to report to the jail. But the court allows enough time to apply for home detention at the community justice office. The home detention program lets persons who have been sentenced to jail to continue to go to work. Applicants for home detention agree to wear an ankle bracelet that's worn continuously during the period of home detention. There's a $30 application fee and the cost of the program is $30 a day. In some cases, a defendant opts to do jail time rather than home detention. Some elect to go to jail because they expect to be transferred to the Work Center in Talent, where they are housed in better conditions and given the chance to earn an early release in exchange for work. 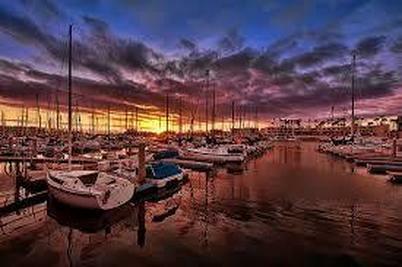 However, the options get narrower with a third or subsequent DUI. A felony DUI conviction carries a minimum sentence of 90 days. At this level, judges may be inclined to order a defendant remanded into custody immediately after conviction. In DUI cases where there has been a prior diversion or a conviction, there is no risk of additional jail time being ordered if a defendant decides to take the case to trial.